When I attended TEXSOM, one of my goals as far as the seminars I signed up for was to embrace new experiences that would broaden my understanding about the world of wine. Actually, more like shine a light on a place, a person, and a process unbeknownst to me. This is why I chose to attend “Iconic Winery Retrospective: Kumeu River Wines” led by Winemaker and Master of Wine Michael Brajkovich, who traveled a great distance to show a group of Matés Vinyeard Chardonnays from 2005-2012 that knocked my socks off. 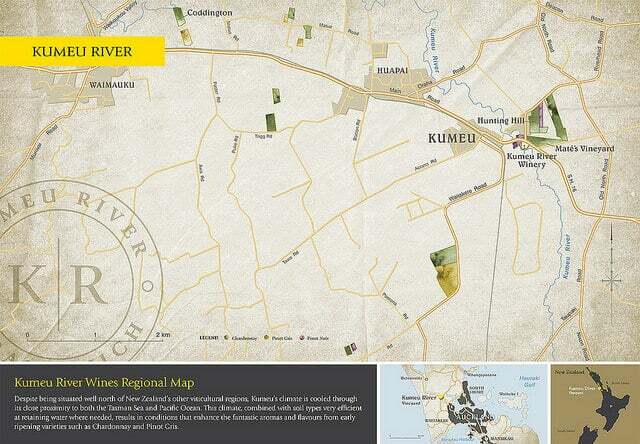 The first thing that makes Kumeu River Wines unique is its location: towards the top of New Zealand’s North Island. (Map via winery website.) Right by Auckland as a matter of fact. Besides where the winery is, another stand-out about Kumeu River Wines? A commitment to sealing wines under screwcap. 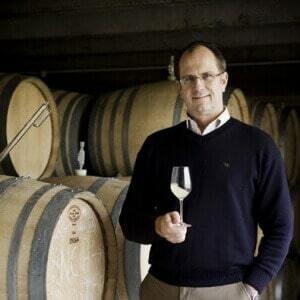 Kumeu River Wines Winemaker and Master of Wine Michael Brajkovich. Image via winery website. An interesting way that Brajkovic framed the discussion over wine closures (for those not immersed or even versed in the subject) is to regard screwcaps as a seal especially adept at promoting bottle maturation while mitigating oxidation. And, hey, cork is no slouch in that department. But screwcap proponents would say regarding oxygen transfer that their closure allows more fine-tuning and consistency. Back to the Kumeu River Wines Chardonnays. The 2012 is chalky, with a perfect amount of oak, and plenty of zest on the finish. Very Chablis-esque. Brajkovich called the 2010 vintage the best ever. The 2008 was where I started to notice changes in color and flavor. Finally, the 2006 may have been my favorite of the bunch; it had a lemon curd quality that I can’t get out of my head. What are your thoughts on wine under screwcap? Just great for wines you pop-and-pour ASAP? Or do you/would you have bottles with screwcaps in your cellar? Chime in! We did a vertical tastings of our chardonnays (about 12 wines) at Church & State wines. All of the chardonnays were bottled under screw cap. The oldest wine was bottled under a Saranex liner. All other Chards (the younger chards) were bottled under a tin liner screw cap. All of the wines were holding up well, but the wines bottled under the tin liners were showing signs of reduction. The saranex wine was perfection personified. Not reduced, not oxidised. Still fresh and in very good condition. The oldest wine was in the bottle for 8 years under the Saranex liner. With regard to cork: there is a tremendous amount of variability in density that can lead to differing levels of oxygen exposure over time. Screw caps are generally far more consistent. We think they are a superior closure. We have trials underway with screw caps using differing oxygen transmission rates, and those results will be interesting. So, even within the screw cap genre of closures, there is much room for optimization. Thank you for adding your perspective and experience. Looking forward to hearing results from customizing oxygen transfer rates. Interestingly, Michael Brajkovich called saranex liners a “big mistake”, saying they allow too much oxygen transfer. While the answer “It’s the cork, stupid” might be pithy and in support of his own position, it does nothing to address what is going on in Burgundy. There are Chardonnays made all over the world that are then put under cork, but do not suffer from Premox. I wonder if he would have another equally pithy response to explain away this seemingly contradicting fact…. What are your thoughts on premox? I’m open to any and all explanations. Thanks for reading and commenting, as always. Hi. Premox is unknown to me. I don’t know what has been done to establish any knowledge on the subject in Burgundy, but I would look to the basics such as dissolved oxygen, SO2, and the Fenton reaction. Do these wines have metal ions perpetuating the Fenton reaction? I have not seen any evidence that Saranex lets in too much oxygen. All of my extensive experience with the liner is that it is virtually a perfect liner. We have done work with all kinds of variable oxygen rate liners from Guala to Stelvin to Vin Perfect and every single time, for every wine (red and whites), Saranex is either the best, or second place (in rare occasions). We evaluate aroma and mouthfeel attributes. When you see the progression in those attributes across different oxygen rates in a spectrum, you easily come to appreciate that Saranex lies in a sweet spot between oxidation and reduction for most wines. If I was a kiwi making Sauv Blanc, I would seriously look at Stelvin 302 vs Saranex. Tin is dead to me As it always results in inferior wine (at least in my trials). It is also worth noting that the differences between liners are very evident, even at 3 months in the bottle. Greatly appreciate your detailed thoughts and opinions. Thanks for reading and commenting. I’m really fascinated by the world of screwcaps, that they are more than just a easy-access closure for fresh wines meant for immediate consumption. Look forward to learning more about that “sweet spot” (as you mention between oxidation and reduction.